From Akick Software: Akick Free Antivirus 2016 provides the essential security you need to protect your computer from viruses, malware, and hackers. This best free antivirus software, along with providing possible spyware, malware protection, also includes advanced Home-Network scanner that automatically scans your network and browser, and effectively removes unwanted plugins, toolbars, etc. It does not allow any invisible suspicious codes to intrude into the system. Efficiently, removes the stubborn viruses from your PC permanently. Antivirus and Anti-malware: Akick sends out automatic Virus Lab updates on a regular basis to make sure your security software is fully up-to-date. Home Network Security: Completely scans your network and routers for potential issues to instantly prevent security attacks. It prevents your network from online hackers and intruders. Quick Browser Cleanup: Akick Browser Cleanup removes annoying toolbars, search history, easily allows you to schedule scan and maintain system configuration and settings. Smart Scan schedule: With one single click, you can scan for all recent viruses, spyware, worms, other malware, rootkits, Network problems, performance issues and much more. Core protective Technologies and Features: Includes Antivirus, Anti-spyware, Anti-malware, Home Security Network, Smart Scan, Software updater, HTTPS scanning on a regular basis, etc. What's new in Akick Antivirus: Now with its latest version, you can export PC scan reports to Notepad, PDF, CSV & Excel. Also, the new advanced firewall deletes all the privacy traces from your system. Quick Start after reboot. Features now work more effectively. The issue of "File System Shield incompatibility with TrueCrypt StreamFilter" has been solved. Improved compatibility with other Akick products. Improved windows startup time. You can now easily clean up your internet traces to make your system more responsive. Increased privacy with password protection to access settings. Privacy Eraser Free - Privacy Eraser is an all-in-one privacy suite that protects your privacy by cleaning up all your Internet history and past computer activities. Advanced SystemCare Ultimate - Advanced SystemCare Ultimate 12 is a powerful and full-scale software for PC security and performance. Dr.Web Katana - Dr.Web KATANA - Kills Active Threats And New Attacks. A non-signature anti-virus. Combats threats that are brand-new and unknown to your anti-virus: encryption ransomware, blockers, and web injectors. Does not conflict with third-party anti-viruses. Comodo Antivirus - Comodo Antivirus is a free security solution for Windows that uses a powerful combination of real-time threat monitoring, auto-sandboxing and behavior analysis to immediately protect your computer from all known and unknown malware. Hi Security - Hi Security is a free-to-download antivirus solution protecting your smartphones, as well as any personal data stored on your devices, against all Android viruses, potential privacy threats and WiFi safety concerns. Security Task Manager - Security Task Manager is suitable for professionals and anyone who needs to keep their computer speedy. Keep an eye on your files, and delete anything that looks suspicious, while reading information about all of your software programs with it. Emsisoft Emergency Kit - Free, fully portable dual-engine cleaning toolkit that scans for and removes Malware and Potentially Unwanted Programs (PUPs) from your PC. Great for a second opinion scan, works well alongside any antivirus or anti-malware program. 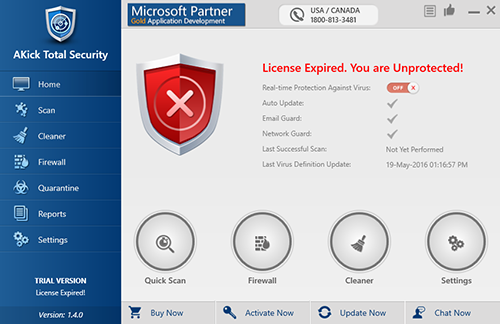 Dr.Web Security Space - Comprehensive anti-virus security solution for your Windows PC. Real time protection. Installation and operation in an infected system and exceptional resistance to viruses. Efficient detection and neutralization of all types of threats.